WorldView-4 is a Commercial Earth Observation Satellite built by Lockheed Martin for operation by DigitalGlobe, a leading provider of Earth Observation data products at the highest resolution available on the commercial market. 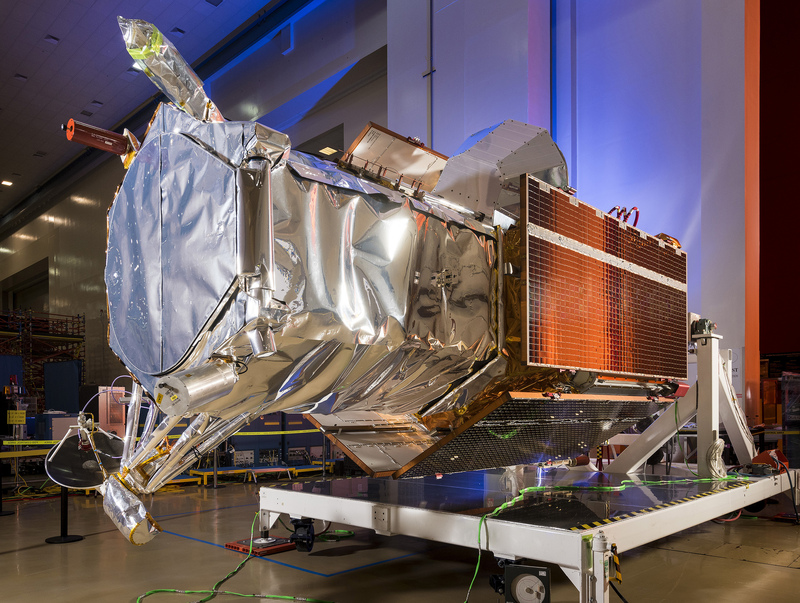 The WorldView-4 (WV-4) satellite was ordered as GeoEye-2 by GeoEye Inc. back in October 2010 under a contract awarded to Lockheed for the construction of the spacecraft and an earlier contract from 2009 with ITT Corporation for the high-resolution Earth-imaging system. GeoEye-2 was the first step in a phased process for the development of an advanced third-generation system capable of delivering imagery at a resolution of around 30 centimeters. 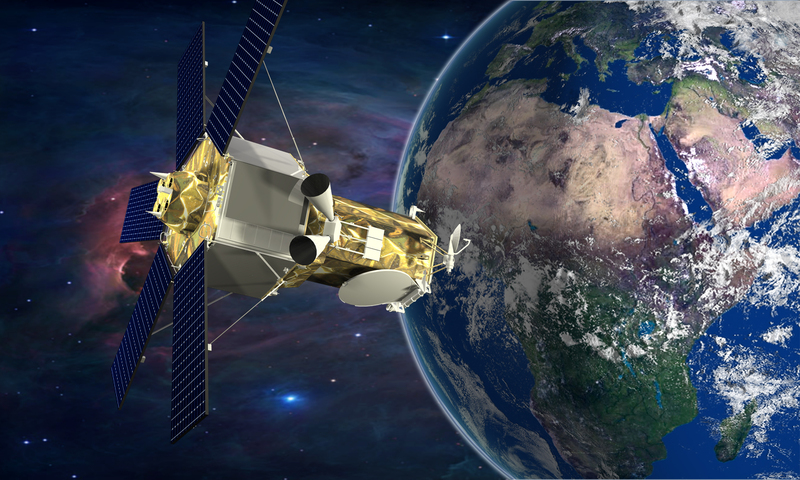 GeoEye-2 was designed on the lessons learned from the GeoEye-1 spacecraft launched on a Delta-II rocket in 2008. The launch of GeoEye-2 was put on hold after GeoEye merged with DigitalGlobe in 2013, being placed in storage for a future launch when needed within the operational constellation of the company. DigitalGlobe was founded back in 1992 as ‘WorldView Imaging’ when the Land Remote Sensing Policy Act was introduced, permitting private companies to acquire and sell satellite imagery in the United States. Obtaining its first high-resolution commercial remote sensing license in 1993, the company received financial backing by private funders from around the world. The company was re-named ‘EarthWatch’ after merging with the remote sensing branch at Ball Aerospace & Technology Corp. The first satellite built and launched by the company was Early Bird-1, arriving in orbit in 1997 after a successful launch on a Russian Start-1 rocket. The satellite was envisioned to deliver ground imagery at a three-meter resolution but it suffered an electrical failure four days after launch and was unable to enter operations. The company took its current name in 2001 and, in the same year, launched the Quickbird-2 satellite after the first Quickbird had been lost in a launch failure the year before. Quickbird-2 was able to capture imagery at a maximum ground resolution of 0.61 meters. The first WorldView satellite lifted off atop a Delta II rocket in 2007. Built by Ball Aerospace, the satellite can deliver images with a 50-centimeter ground resolution in the panchromatic band. 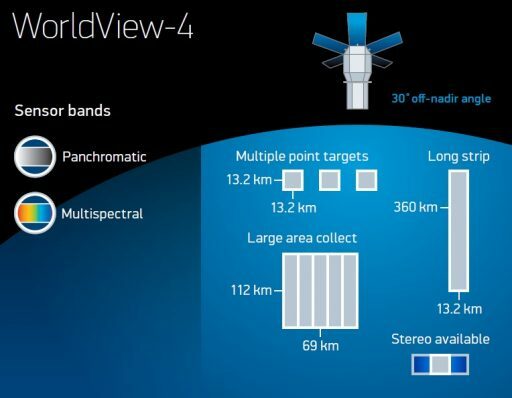 WorldView-2 was launched in 2009 and further improved resolution to 46 centimeters in the PAN band and 184 centimeters for color imagery. 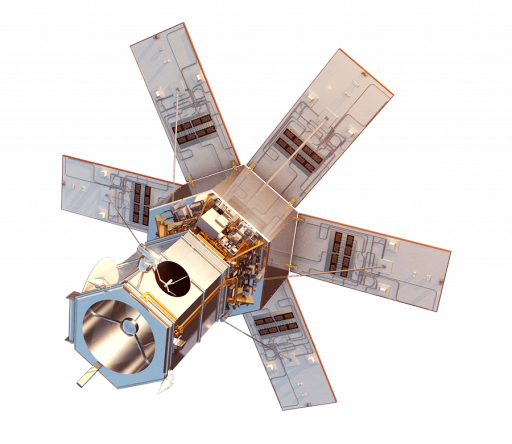 The 2013 acquisition of GeoEye by DigitalGlobe included the IKONOS satellite launched in 1999 with an 82cm panchromatic resolution, GeoEye-1 capable of delivering 41cm imagery, and GeoEye-2 that, at the time, was in the late stages of assembly. 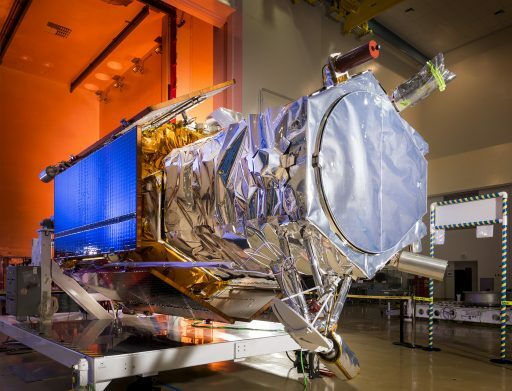 With plenty of operational satellites in its fleet and one more ready for liftoff, DigitalGlobe placed GeoEye-2 into storage for launch when needed within the constellation. 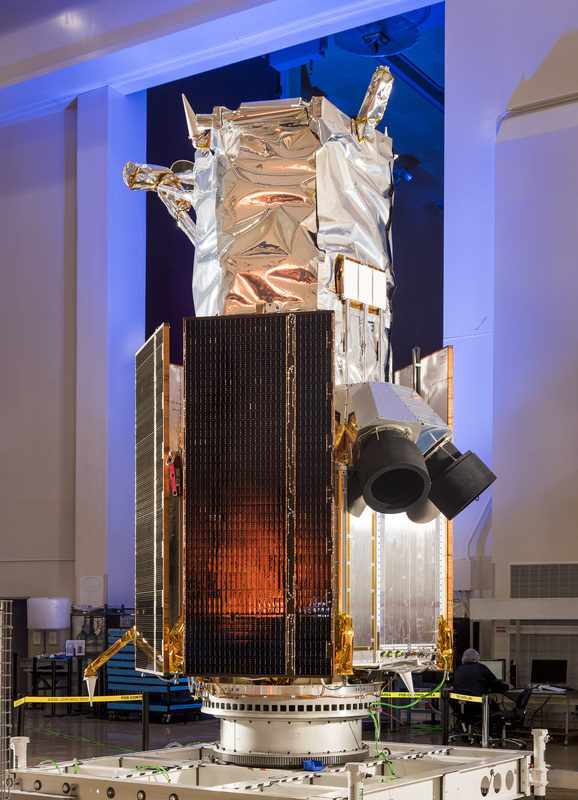 The WV-3 satellite was lifted into orbit in August 2014, also based on a Ball Aerospace platform hosting an agile pointing system and optical payload delivering panchromatic images at a 31-centimeter resolution, color imagery at 1.24 meters and expanding previous capabilities by adding an infrared imaging system. Satellite images collected by DigitalGlobe are sold to commercial customers for a variety of purposes such as land management and monitoring, urban planning, scientific studies and other applications. The majority of high resolution images of Google Earth and Google Maps are provided by DigitalGlobe. U.S. federal agencies such as NASA and the National Geospatial-Intelligence Agency also purchase imagery from DigitalGlobe. The updated approvals will also permit the company to sell imagery with up to 0.25-meter Ground Sample Distance in panchromatic bands and 1.0-meter GSD in multispectral bands to all customers. The launch of WorldView-4 was brought forward to 2016 in a decision made in mid-2014 to meet growing demands for DigitalGlobe data products. 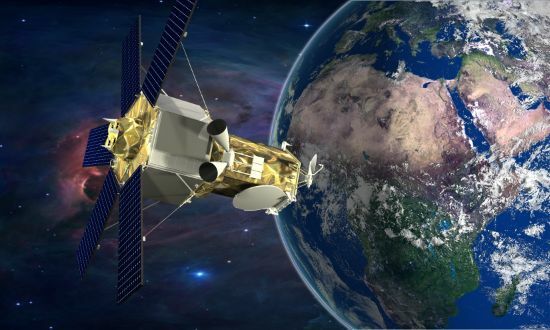 Canadian company MDA announced in late 2015 that it had received a contract from DigitalGlobe to establish multiple international ground stations with upgrades to receive and process data from the WV-4 satellite as well as all other DigitalGlobe satellites. Lockheed Martin is the prime contractor for the WV-4 spacecraft; development of the high-resolution camera was handled by Harris Corporation. 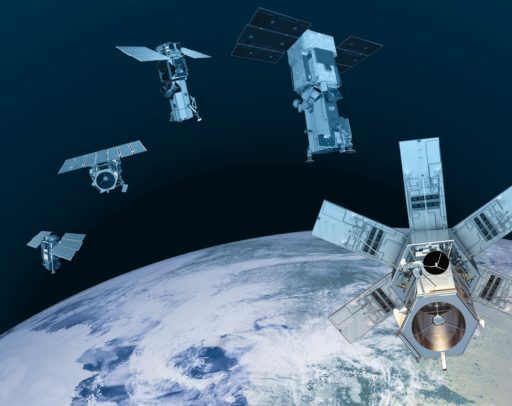 The satellite will produce map-accurate images for enhanced geospatial situational awareness, delivering improved information to intelligence services, policy decision makers, and commercial users for a range of applications. The 2,087-Kilogram WorldView-4 stands 5.3 meters tall and is 2.5 meters in diameter, based on Lockheed’s LM-900 satellite bus. The baseline LM-900 bus is hexagonal in shape, featuring a central cylinder with composite panels mounted radially around the central tube to provide mounting surfaces for the various subsystem components. LM-900 finds heritage in a number of Lockheed Martin missions, originating on the IKONOS Earth-imaging mission from the structures side and NASA’s Mars Reconnaissance Orbiter from the avionics side. The avionics line has been used in a number of missions – the Juno Jupiter exploration craft, the two GRAIL vehicles exploring the lunar interior, the MAVEN mission to Mars and OSIRIS-REx visiting asteroid Bennu. The LM-900 bus is relatively compact in size, aluminum Honeycomb is employed for the majority of the bus structure, with six internal panels radiating from the central cylinder. 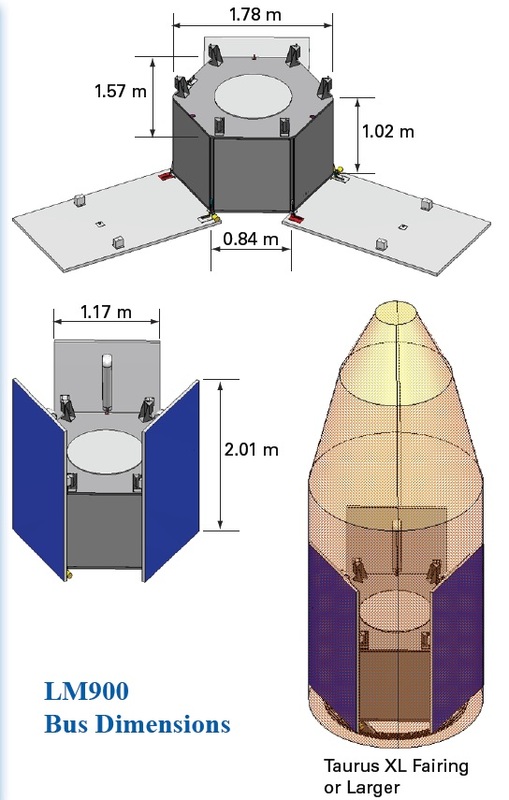 LM-900 has been built to facilitate a variety of payloads, ranging from small internal payloads to large systems installed on the upper deck of the platform with no size limitations (payload fairing volume dictates the envelope). The LM-900 bus hosts three to five deployable solar panels that are stowed against the satellite side panels for launch and deploy toward the LV interface with sun-pointing accomplished by slewing the satellite to face the sun. Each panel is 1.17 by 2.01 meters in size and covered with triple-junction Gallium-Arsenide solar cells feeding Li-Ion batteries. Power from the arrays is delivered to a Power Distribution and Drive Unit responsible for delivering the Housekeeping Power supply, generating a regulated 28-Volt bus and a 28V pulsed power supply. The Propulsion System of the LM-900 platform can be catered to different mission needs, featuring a Hydrazine Monopropellant system with tank sizes up to 300 Kilograms feeding 1-Newton thrusters. Attitude Determination and Control on the WV-4 satellite is a critical aspect of the spacecraft design to enable a) a very precise pointing capability for targeted observations along a narrow swath and b) allow the satellite to be very quick in changing its orientation from one observation target to another. The primary attitude sensors are Star Trackers, a precision Inertial Reference Unit and a GPS receiver for orbit determination. Attitude control is accomplished using Control Moment Gyroscopes that provide a high-precision while also delivering high torques to achieve rapid re-orientation maneuvers. Using these CMGs, WorldView-4 is capable of performing slew maneuvers from one imaging target to the next within five seconds as opposed to 30 to 45 seconds that are required for conventional reaction wheel systems. A slew of 200 Kilometers on the ground takes 10.6 seconds using the advanced CMGs. The Command and Data Handling system is built around a RAD750 central processor supported by 1553B and RS-422 data links that deliver commanding to the various onboard systems and return housekeeping telemetry. 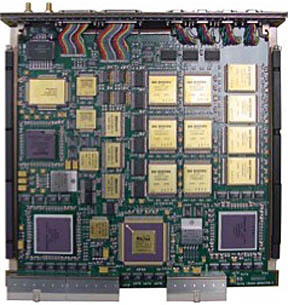 Payload data can be accepted via LVDS and SpaceWire and is stored in a large 3200 Gbit Solid State Memory. Downlink of Earth Observation data is accomplished via X-Band at a high data rate of 800Mbit/s. Real Time Housekeeping is also downlinked on X-Band at 120kbit/s and S-Band is in use for command uplink and telemetry downlink at 64kbit/s. The high-resolution imaging payload was developed by ITT Corporation (formerly Harris Corp.) under a contract awarded in 2009. A Critical Design Review for the payload was completed in 2011 and under a restructuring at ITT, the company involved with the instrument was now ITT Exelis. The GIS-2 imaging system was delivered to Lockheed Martin in April 2012 for integration with the spacecraft. The GIS-2 imaging instrument uses a 1.1-meter telescope covering a ground swath of 13.2 Kilometers. Owed to its highly agile pointing system, WV-4 can collect imagery of a 66.5 by 112-Kilometer area in a single flyover, making five observation passes at off nadir angles up to 30°. Single-pass stereo imaging can be supported for an area of 26.6 by 112 Kilometers. GIS-2 covers a Panchromatic Band at 450 to 800 nanometers, achieving a ground resolution of 0.31 meters from its 617-Kilometer operational orbit. The detector system is sensitive for four multispectral bands – blue (450-510nm), green (510-580nm), red (655-690nm) and near infrared (780-920nm). Color imagery is available at a spatial resolution of 1.24 meters. WorldView-4 allows imaging at all off-nadir angles up to 65 degrees for which resolution drops to 3.51m in the panchromatic band and 14 meters for multispectral data. Ground sample distance for 20 and 56-degree off-nadir imagery is 0.34/1.38m and 1.00/4.00m, respectively. WorldView-4 offers an exceptional geolocation accuracy – operators can map natural and man-made features to within four meters of their actual position on Earth’s surface without the need for ground control markers. Revisit time accomplished by the satellite will be 4.5 days or sooner, 1 day at 40° latitude for 1-meter imagery. 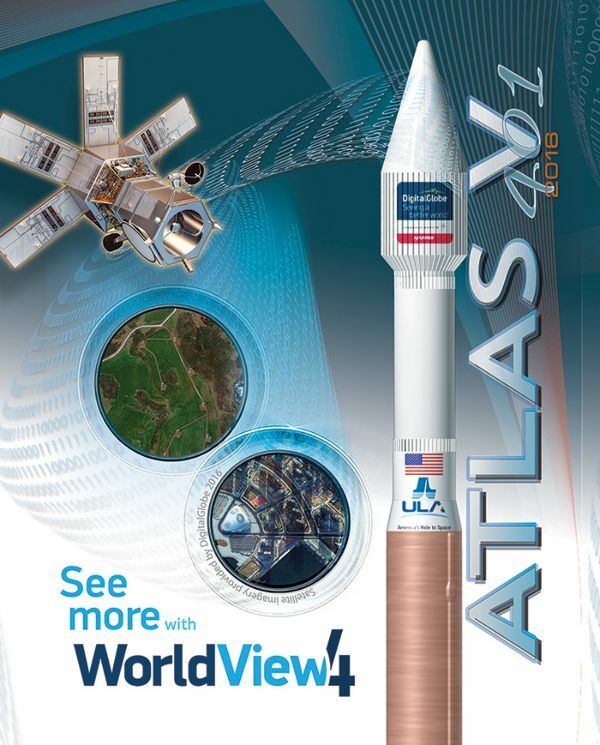 WorldView-4 can deliver a variety of data products to users such as satellite projection, geometrically corrected products, terrain corrected imagery, stereo products, Digital Elevation Models, Digital Surface Models and large-area mosaics. Per its design, WV-4 can collect observations of an area of 680,000 square Kilometers per day. The satellite operates from a Sun Synchronous Orbit 617 Kilometers in altitude at an inclination of 98°. Crossing the equator at 10:30 local time, WV-4 makes one lap around the planet every 97 minutes.